Information about my Buffalo art works, shows in the Buffalo area, and more….. Someone at the Allentown Art Festival asked me why Buffalo is called the Queen City. I had to admit that I had no idea — so I did little research. Way back in the late 1800’s and early 1900’s Buffalo was the largest and most prosperous city on the Great Lakes — so we became the Queen City. While Buffalo has seen more than it’s share of struggles over the past century we are making a proud come back. And once again we will be proving ourself to be, in fact, the Queen City — although anyone from here has always known that there was a lot of good to be had here, even if our crown needed polishing. 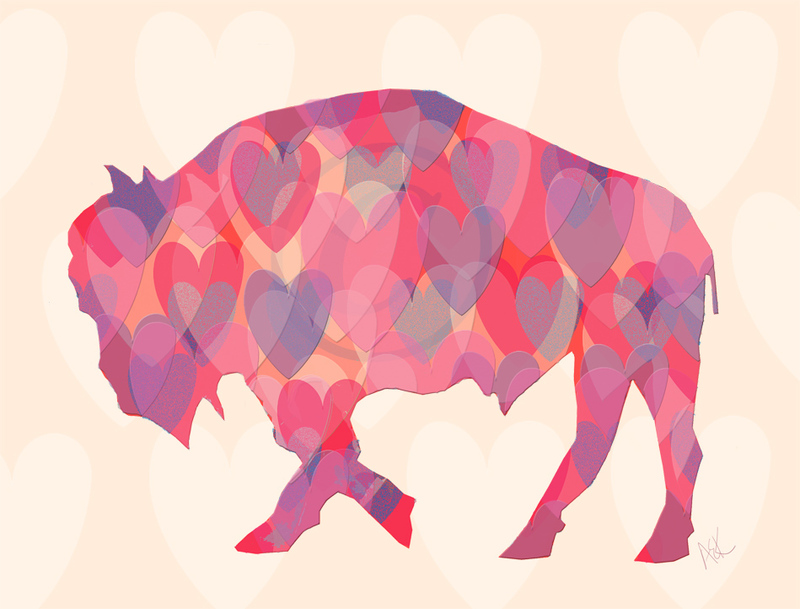 I’d like to thank Buffalo Magazine for sharing my Heart Buffalo image on their Facebook page today! I wish each and everyone one of you peace, love and warmth on this very COLD Valentine’s Day!